LOW CARB, NO CARB, NO SUGAR… NO RESULTS!!!! Who do you really trust when it comes to diet and nutrition advice?!? Do you get mixed answers from various articles your read or FAD diets out there??? Being a Certified Sports Nutritionist, writing and creating SEVERAL meal plans for athletes, general health, obese clients, kids and more… I will TEACH you the FACTS that you need to know and understand about CARBOHYDRATES!!! TRUST ME!!! Carbohydrates are one of the main dietary components that you MUST take in daily to meet your essential macro nutrient intake recommendation. Let me REPEAT in a simpler way, YOU NEED CARBOHYDRATES, every day, in every meal! This category of foods includes sugars, starches, and fiber; or in food terms, this means, grains, fruits, and vegetables. Starches, Simple sugars, Sugars, and Complex carbohydrates. Understand each kind of carbohydrate! The primary function of carbohydrates is to provide energy for the body, especially the brain and the nervous system. An enzyme called amylase helps break down carbohydrates into glucose (blood sugar), which is used for energy by the body. Without ENERGY, your body will not function correctly or have sufficient energy to burn fat with a healthy metabolism. Most people should get between 40% and 60% of total calories from carbohydrates, preferably from complex carbohydrates (starches) and natural sugars. Complex carbohydrates provide calories, vitamins, minerals, and fiber. Foods that are high in processed, refined simple sugars provide calories, but very little nutrition. Foods such as cakes, candy, baked goods, crackers, white breads etc. should not make up the carbohydrates in your diet. LIMIT these types of carbohydrates. Eat MAINLY vegetables… especially your leafy greens. Eat 1-2 small pieces of fruit a day. Eat more whole-grain rice, oats, breads, and ancient grains. Eat more legumes (beans, lentils, and dried peas). Fruits: 1 small apple, 1/2 grapefruit, 1 cup berries. SIMPLE and delicious… a great start to your HEALTHY DAY! I have some links below on various perspectives about carbohydrates in your diet and your training results. Bottom line is, your body can not build muscle and/or burn fat without CARBS!!!!! Don’t neglect them and don’t follow FAD diets that CUT them out. Understand your goals and gain an understanding for basic nutrition of the body and overall health. 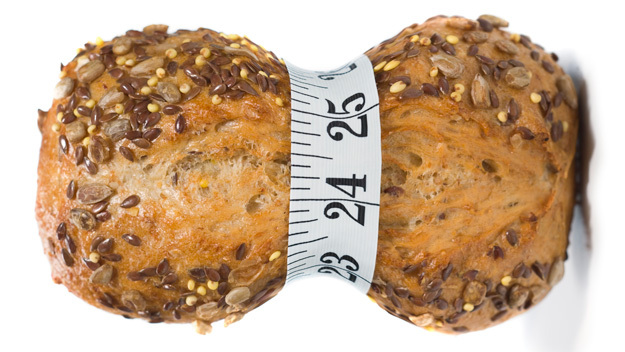 You will see how important CARBS are and you will look at them differently now! Just remember, baskets of processed flour (baked goods, breads, etc) and bowls of pasta are NOT balance and/or healthy. So keep that in mind when you are planning your meals for the day and week and follow the guidelines mentioned! CARBS will help you LOSE WEIGHT!